While browsing the Internet for new quality bed linen a term “stone washed bed linen” is often found. Sounds quite intriguing, doesn’t it? Is this luxurious pure linen bed linen really washed using stones or is it just a figure of speech? Let’s dive in and find out! Stone washing is a textile manufacturing process that includes actual stones (!) or some special chemicals (usually chlorine) to accelerate the garment wash effect and to give garments and linen an even more unique appearance. A variety of natural and man-made stones are used in stone-washing with probably the most popular being pumice or volcanic rock. The process was firstly mostly adopted on jeans or garments, but nowadays it is getting increasingly popular with home textiles, especially with pure linen materials. Stone washed bed linen is considered to be luxurious. So, let’s imagine our linen bed linen being placed in a large horizontal industrial machine washer that is also filled with large stones. The wash cylinder then starts rotating causing the bed linen items to be repeatedly pounded and beaten as the stones ride up the paddles inside the drum and fall back down onto the fabric. This way the stones abrade the fabric and produce a worn-out appearance to a newly manufactured cloth: garments, linen bed linen etc. 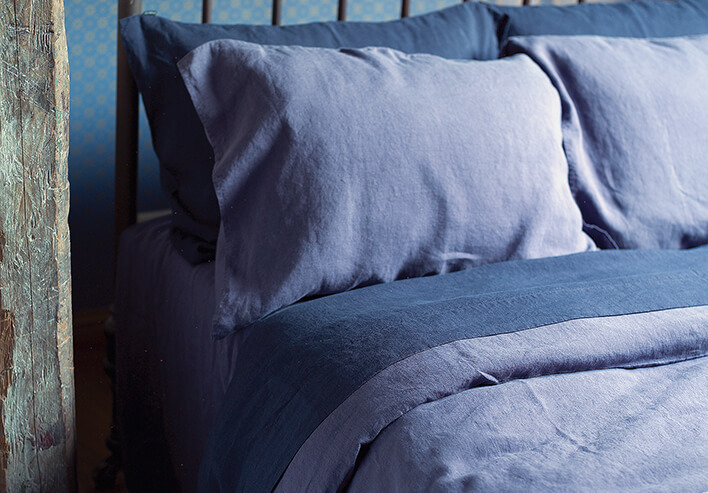 We get a stonewashed bed linen (garment washed or pre-washed is also the term)! Apart from appearances stonewashing also helps to increase the softness and flexibility of the rigid fabric. 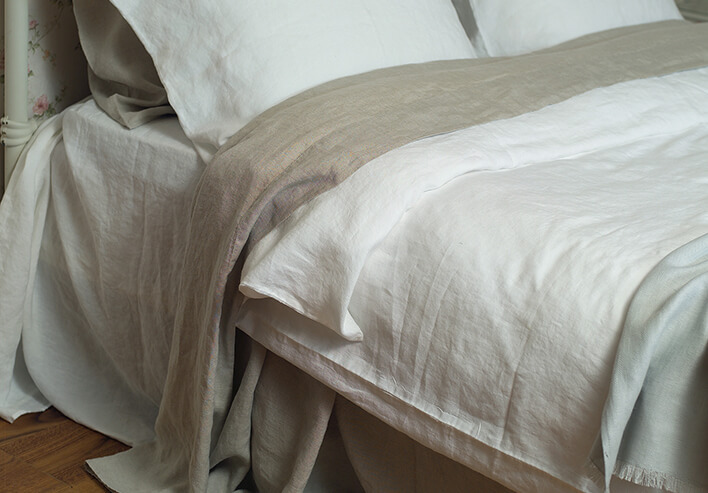 This technology softens the pure linen and loosens the weave, resulting the washed bed linen to have a slightly faded fabric with a vintage feel on dyed colors. Garment washed bed linen has a more casual and comfortable look, which becomes trendy and sought after. Stone washed linen fabric is easy care – it can be machine washed, tumble dried without a fear of shrinkage, it has soft natural crumples that add some chick look and therefore needs no ironing. Not only stonewashed bed linen is available on the market. Pure linen tablecloths, linen napkins, linen bathroom linen etc. can also be stonewashed for additional good looks and comfort. 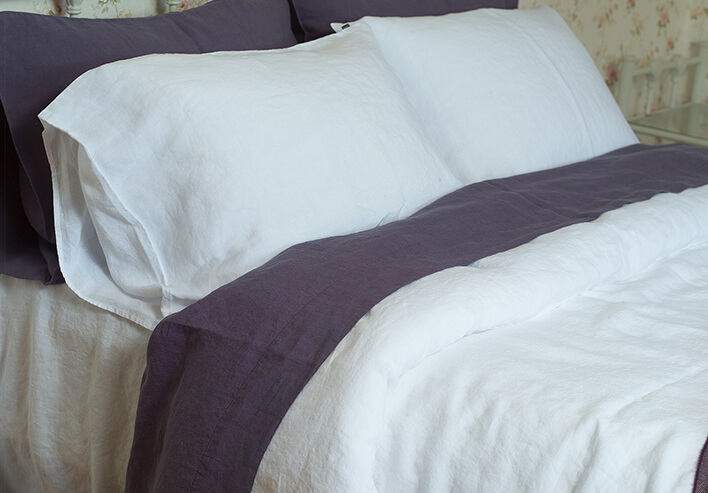 Please follow this link for stone washed bed linen.